This Lighthouse Is For The Birds! 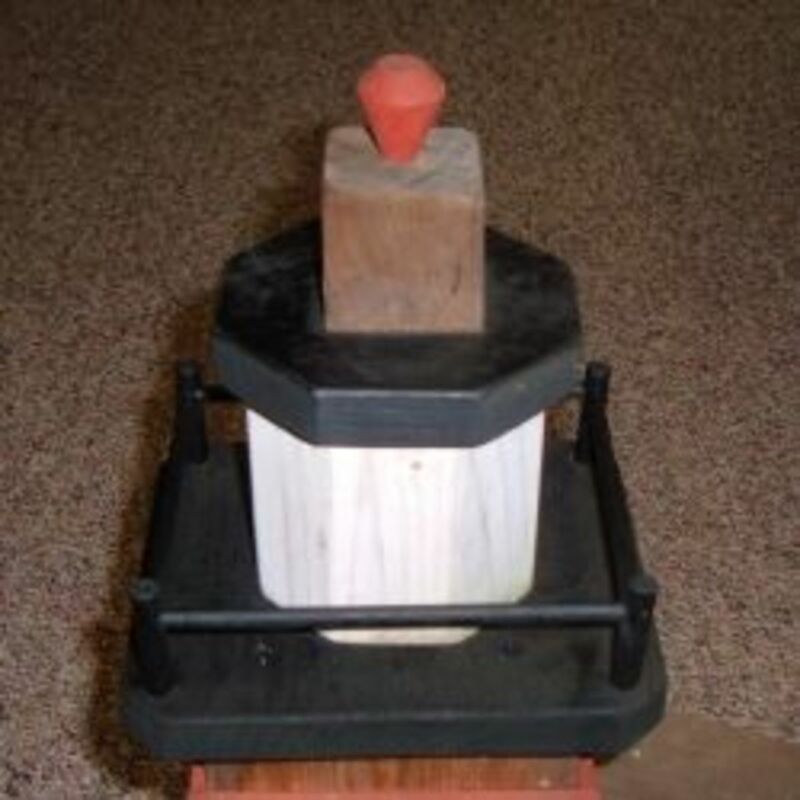 Building handcrafted birdhouses is an enjoyable woodworking craft that does not take a lot of time, experience or expensive tools. 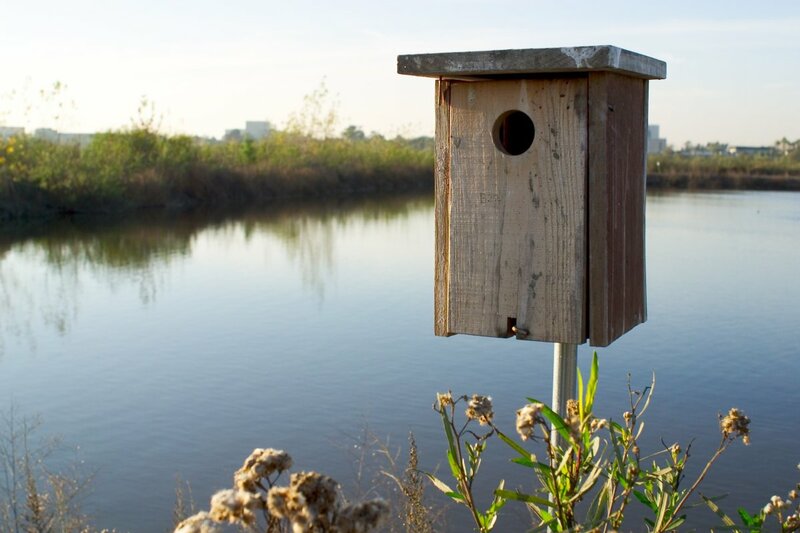 Functional birdhouses and nest boxes can be as simple as a six-sided box with an opening for the birds to enter, or elaborately decorated to resemble a Victorian gingerbread house. 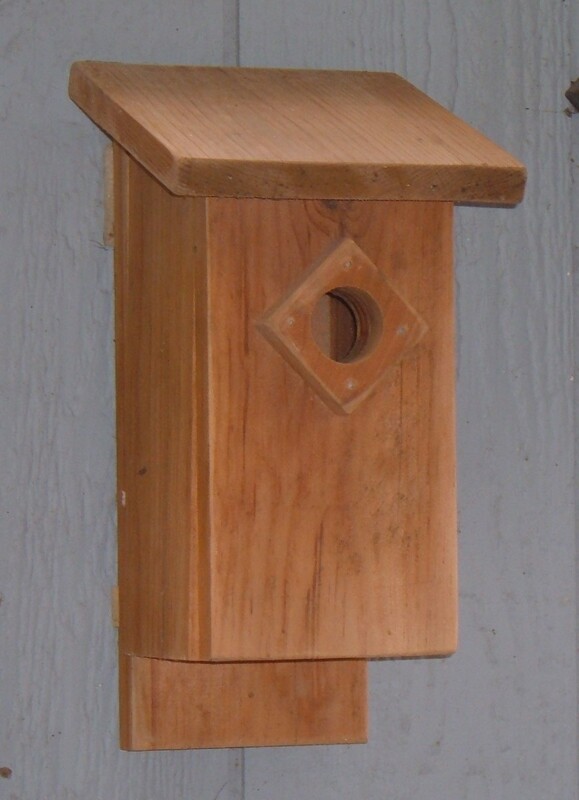 Whether simple or decorative, a functional birdhouse must meet the basic housing requirements for cavity nesting birds. The size and depth of the nest box is important, both to protect the baby birds from predators and to give the nestlings enough room to grow until they are ready to leave the nest. 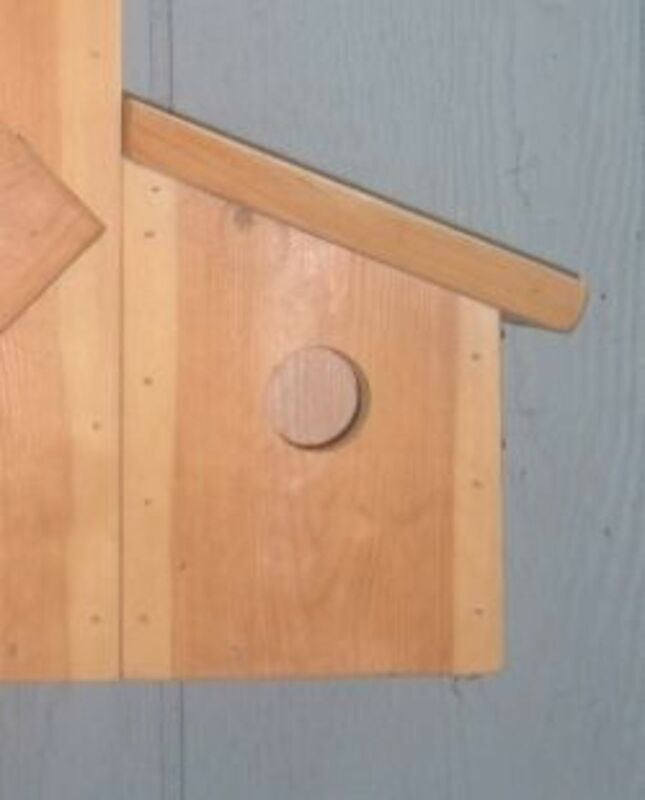 The diameter of the entrance hole is also very important; the entrance needs to be large enough to allow native cavity nesting birds to enter (such as bluebirds, chickadees and nuthatches) but small enough to keep aggressive and undesirable birds like starlings from taking over the nest box. 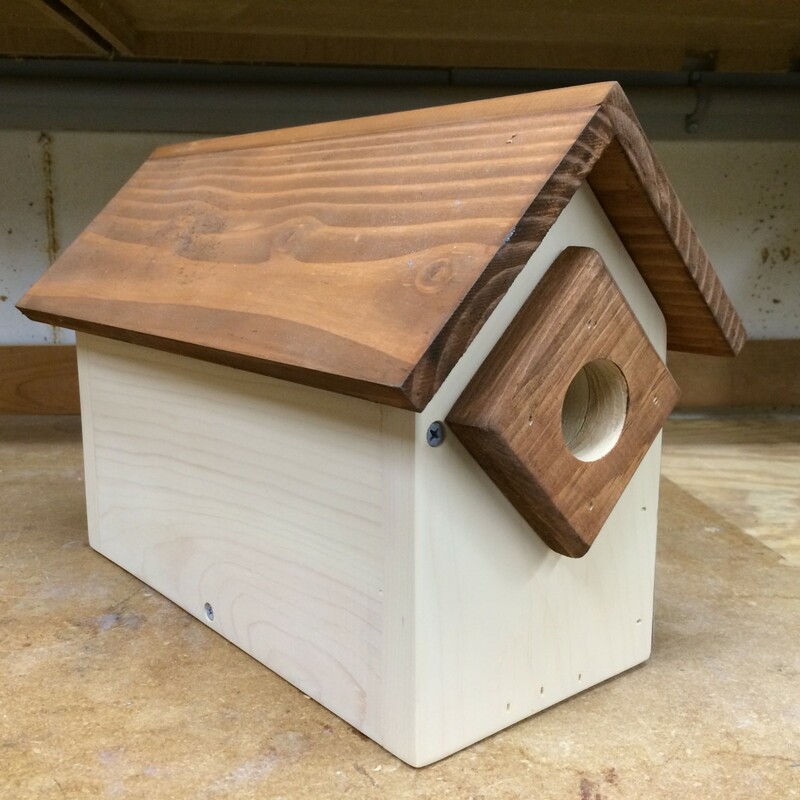 Looking for a decorative birdhouse design that's more than a basic box? 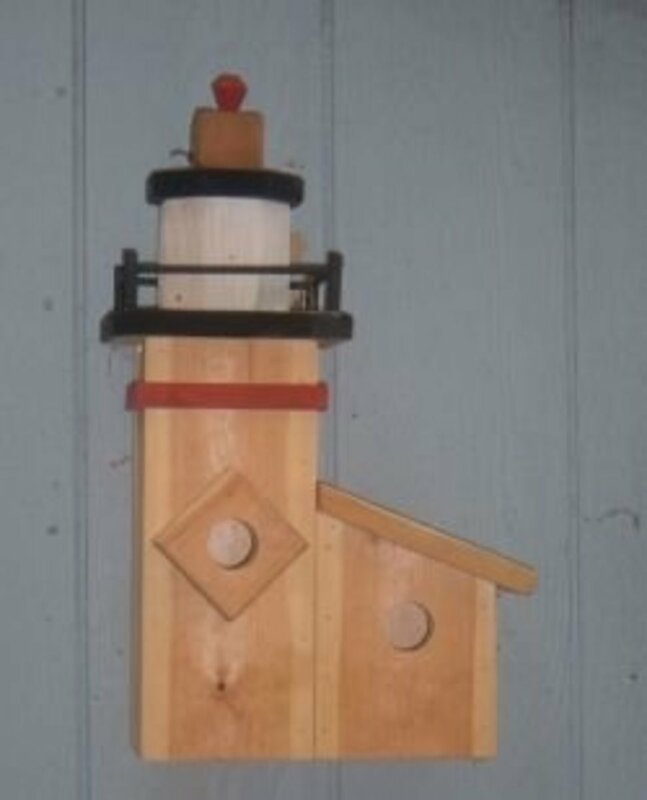 This Lighthouse looks complicated but it is really simple to make: the birdhouse is three separate sub-sections that are built individually and then assembled. Add a few trim pieces and a little paint to highlight the features, and this attractive lighthouse is ready for occupancy. 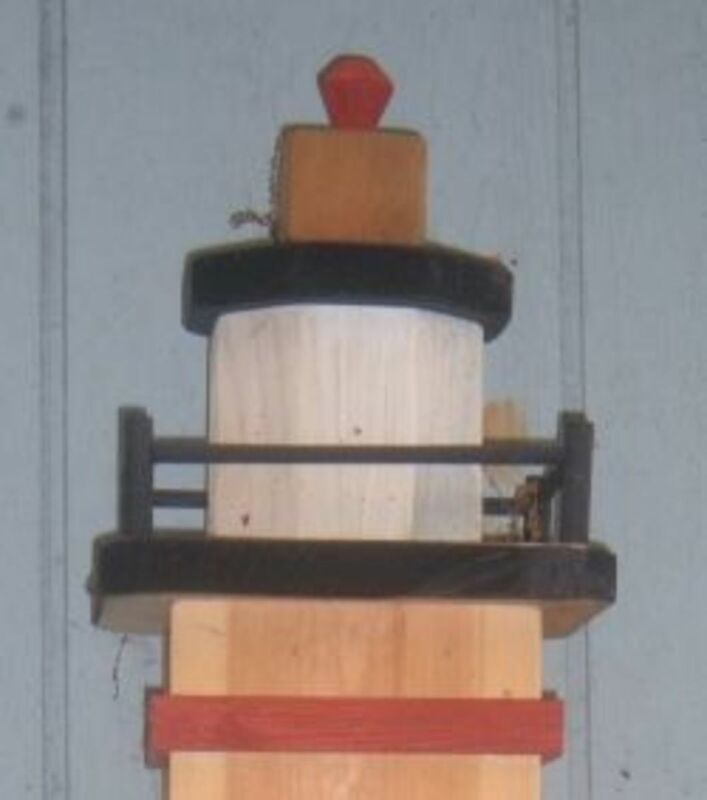 It's the architectural details of the decorative turret structure on top of the birdhouse along with the pieces of applied trim that says "Lighthouse". 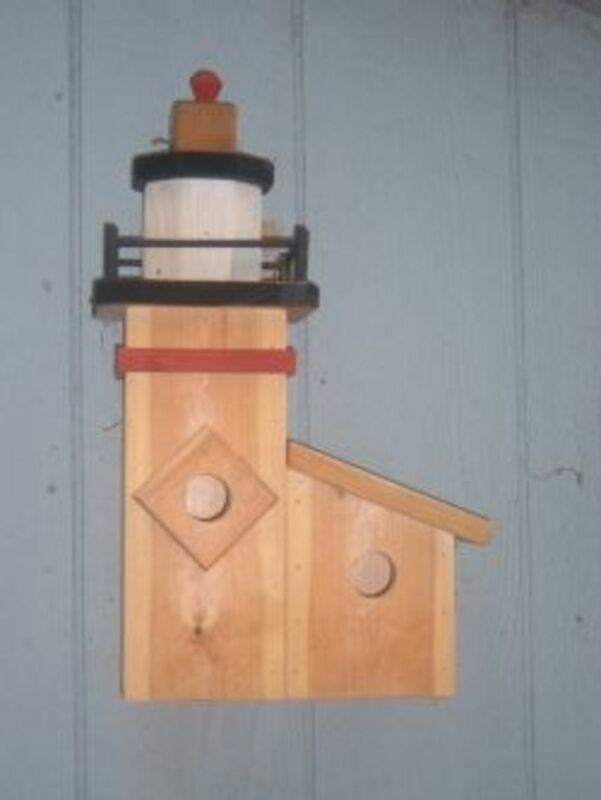 Though the design looks complicated, the Lighthouse nest box is easy to make. 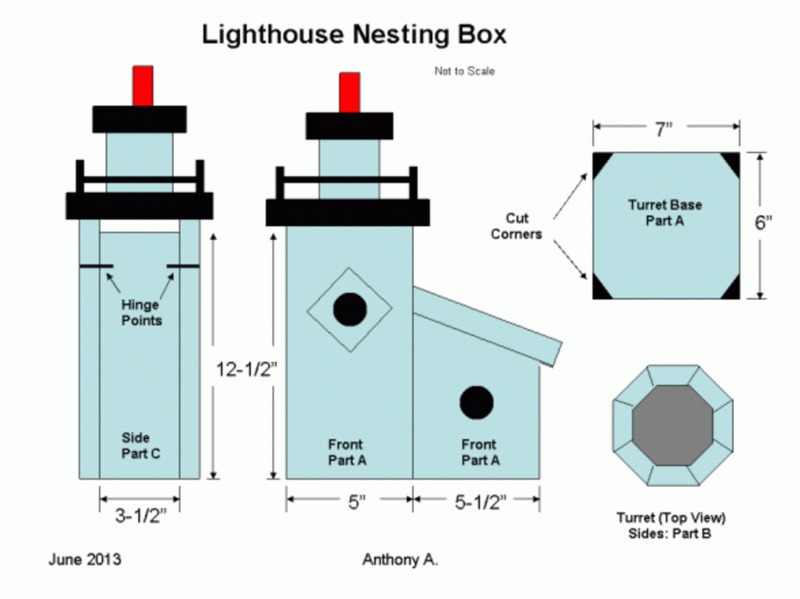 The construction process is broken down into three separate sub-assemblies: the Turret assembly at the top, the main Lighthouse Tower nest box and the smaller Angled Shed nesting box. The three separate components are then assembled to form the lighthouse. The most difficult step is cutting the 22-1/2 degree bevels to make the eight-sided turret assembly that represents the signature feature at the top of the lighthouse. I cut the bevels using a table saw, which simplifies the milling process and creates the beveled stock to make the turret. Ripping the 22-1/2 degree bevel to make the octagon Turret is easy using a table saw. For safety, start with a piece of wood that is at least 1-3/4" wide and 32" long; ripping a long piece of stock is much safer than trying to cut shorter pieces. Tilt the table saw blade to 22-1/2 degrees, adjust the fence and run the stock through the cut. Readjust the fence to 1-1/2" and flip the piece of wood to cut the complimentary bevel. Double-check your settings -- and the position of the stock -- before you make the cut to ensure that you are cutting the 'right' edge of the wood. Now, cut the beveled stock into eight equal sections, 3-1/2" inches long (Part B).Test fit the eight beveled sections together. Position the 22-1/2 degree angle of the table saw blade accurately, and the pieces will form a perfect octagon. 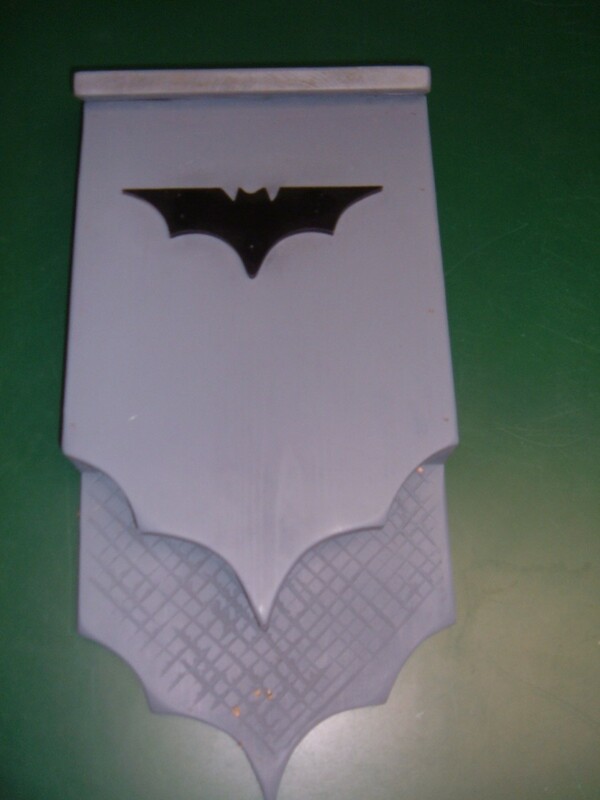 Spread water-resistant glue along the edges of each bevel, and clamp the pieces of the Turret together. A band clamp works well for holding the pieces in alignment while the glue sets, and several rubber bands will work in a pinch. 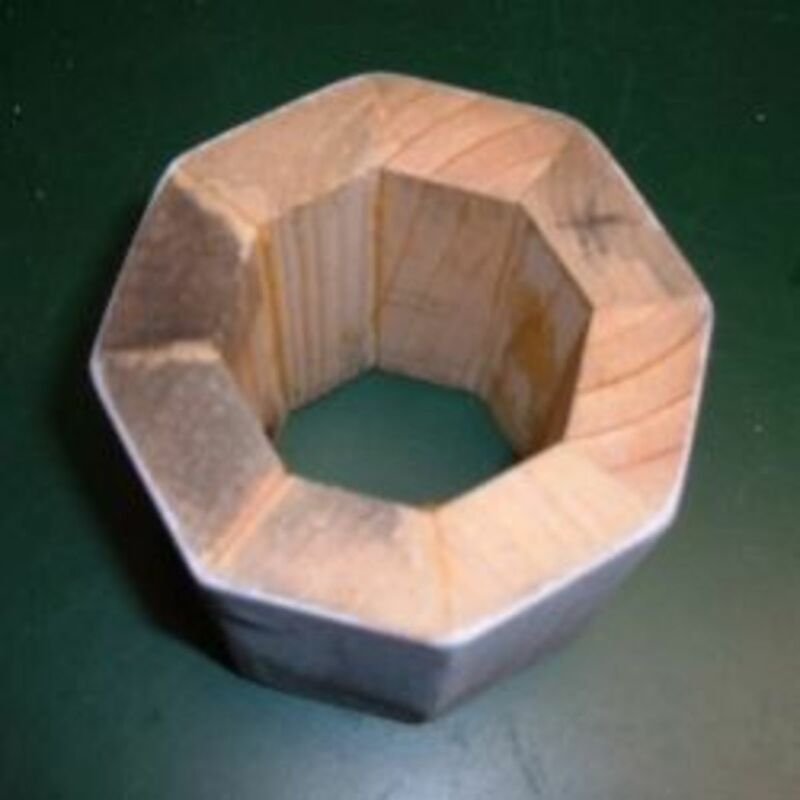 Measure and mark the corners of the Turret Roof (Part C) to make an octagon, and then cut off the corner pieces. 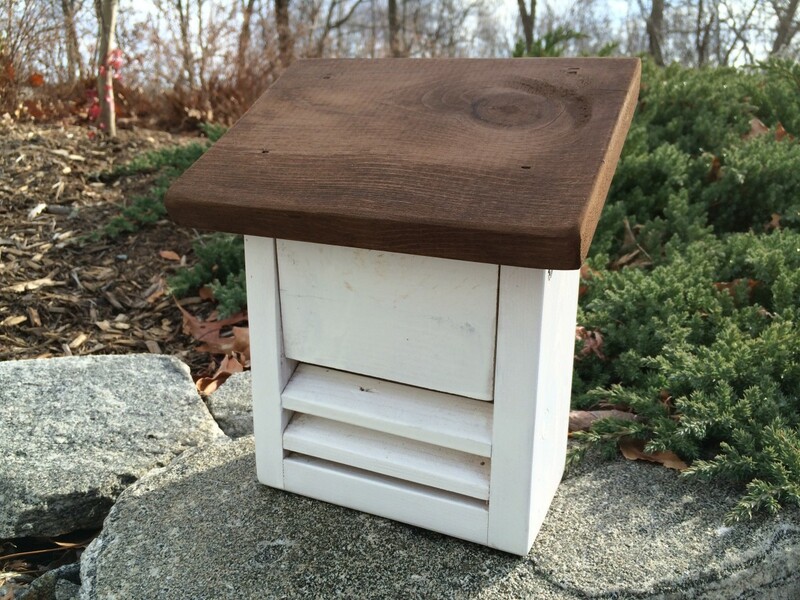 A power miter box makes this easy, but you can make the cuts with a handsaw or jig saw. Measure 1/2" in from each the corners of the Base (Part A), and trim off the corners. Mark and drill 3/8" holes in the corners of the Base for the dowel posts. Cut the 3/8" dowels to length, and then drill 1/4" holes for the Railing dowels. Drilling the railing holes into the round posts is a bit tricky: mark each location 1/2" from the top end of the post. Clamp the dowel to the workbench (or drill press table) and slowly drill the first hole (a brad-point drill bit works well). Then, turn the dowel 90 degrees and clamp it back to the table before drilling the second hole. Don't worry if the hole tears out or is not perfect; the railings and posts are easy to patch and paint later. Glue the railings and posts together, and glue the posts into the holes of the base. If needed, patch the railing connections with exterior-grade wood putty. Cut the Turret Inserts to fit inside the openings of the turret. Use the turret as a template, tracing the inside of the turret against the insert. After cutting off the corners, the turret should fit snugly (but not tight) over the turret inserts. When you are satisfied with the fit, center one of the Turret Inserts on the top of the Base section (Part A). Make sure that the front of the Turret Insert lines up parallel to the front of the Base, and secure with weather-resistant screws or nails. The Steeple Top was cut from a 2" thick scrap of mahogany. The exact dimensions are not critical (especially if you do not have a scrap of thick wood), and you can substitute any other type or size of wood that you have available. Or, glue a couple of wood together (using exterior grade glue) to make a thick piece. Just make sure that the proportions of the steeple look good to you. Drill a hole in the center of the Steeple top to fit the finial (the piece I used required a 3/8" diameter hole)Center the Steeple Top (Part D) to the Turret Roof (Part C), lining up the front of the Steeple with the front of the Turret Roof, and attach using weather-resistant screws or nails. Then, secure the other Turret Inset to the underside of the Turret Roof, again making sure that the front sections of the insert and the roof are parallel. The main tower section of the lighthouse is the primary nest box, and this is essentially a simple six-sided structure. The sides are slightly shorter than the front and back pieces, creating a narrow gap at the top of the nest box for airflow. The left side of the nest box opens for cleaning, using a simple hinge. Cut the pieces to length. Layout the position for the entrance hole on the Front of the nest box (Part A). The center of the entrance hole is 6" down from the top, and centered in the front of the box. I use a 1-1/2" diameter Fostners bit to drill a clean hole (a 1-1/4" bit is also suitable for many small cavity nesting birds). Start the assembly by lining up the Front (Part A) with a side piece (Part C). Make sure that the bottom of each section is flush with each other; the side piece is 1/4" shorter at the top than the front section. Secure the pieces together with weather-resistant screws or nails. 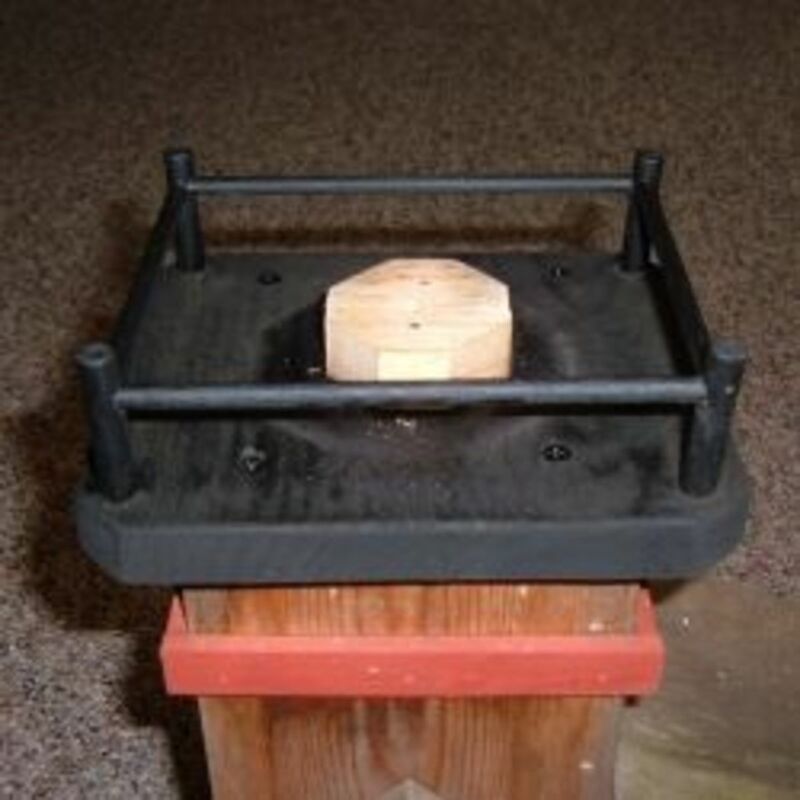 Position the Bottom (Part D) in place between the front and side pieces, and attach with weather-resistant screws or nails. Drill several 1/4" diameter holes through the bottom for drainage.Add the Back (Part B) and the Top (Part E) sections, and then secure the pieces with weather-resistant screws or nails. The last section to add is the hinged side: line up the side with the rest of the nest box assembly, making sure that the bottom of each piece is flush. Measure down 1-1/2" from the top, and then drive a single with weather-resistant screw or nail through the front and into the side. Measure down 1-1/2" from the back, and then drive a second weather-resistant screw or nail through the back and into the side. 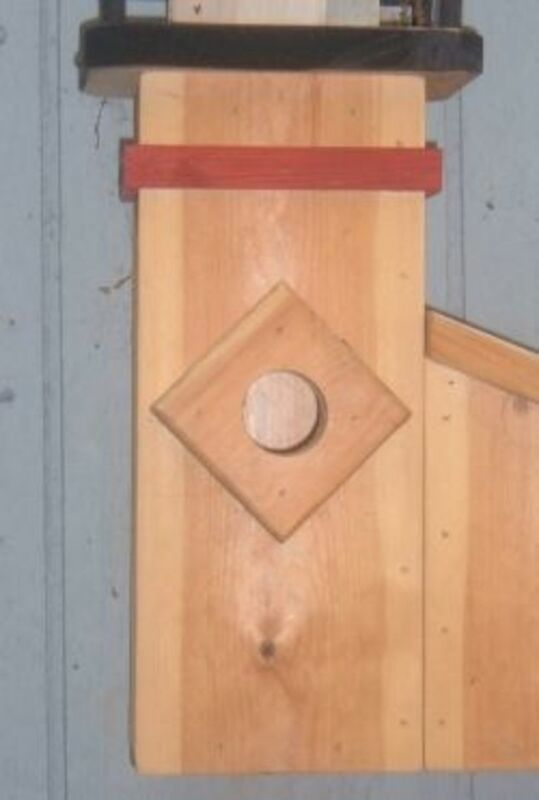 The two nails (or screws) act as a pivot point and hinge, allowing the nest box door to open easily for cleaning. Secure the bottom of the hinged down with a weather-resistant screw.Cut the Entrance Guard (Part F) to size. Mark the center of the Entrance Guard, and then drill the entrance hole. Attached the guard to the front of the nest box (I mounted the Entrance Guard on the bias). 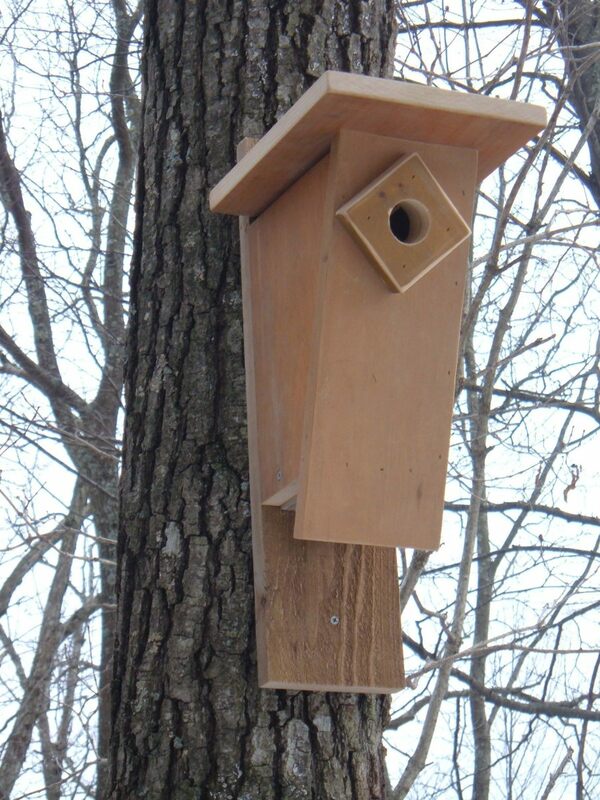 The last sub-assembly is the angled nest box. The front and back pieces are cut on 30-degree angles, forming a sloped roof. Start by cutting the pieces to the dimensions outlined in the cutting list and in the Lighthouse diagram, including the 30-degree cuts on the top ends of the Side (Part C) and one edge of the Roof (Part E). I started by cutting the angles using a table saw, and then cut the pieces to their final length. Center and drill the Entrance hole in the Front (Part A) of the nest box. Assemble the nest box following the same basic steps outlined in the Tower section (don't forget to drill a few house through the bottom section for drainage). The shorter Side section is hinged to create the door for cleaning out the nest box. Position the Roof (Part E) so the back edge is flush with the Back (Part B). This creates an overhang on the front of the nest box. The thin red trim piece near the top of the tower is cut from 1/2" wide x 1/4" thick pieces of scrap wood. I cut the pieces to fit, starting with the side pieces. The front piece then overlaps the ends of the side trim for a clean look. I painted all of the trim pieces before tacking them into place with small nails. Do Not nail through the trim and into the hinged side door. Tacking the trim to the door will prevent the door from opening. Carefully tack the trim pieces into the edges of the front and back pieces.The decorative finial at the top of the Steeple is a manufactured piece used for making wooden toys, and I picked it up at a local hardware store (you can substitute any suitable shape). I painted the finial to match the trim, marked the center of the steeple top, and then drilled a 3/8" diameter hole. 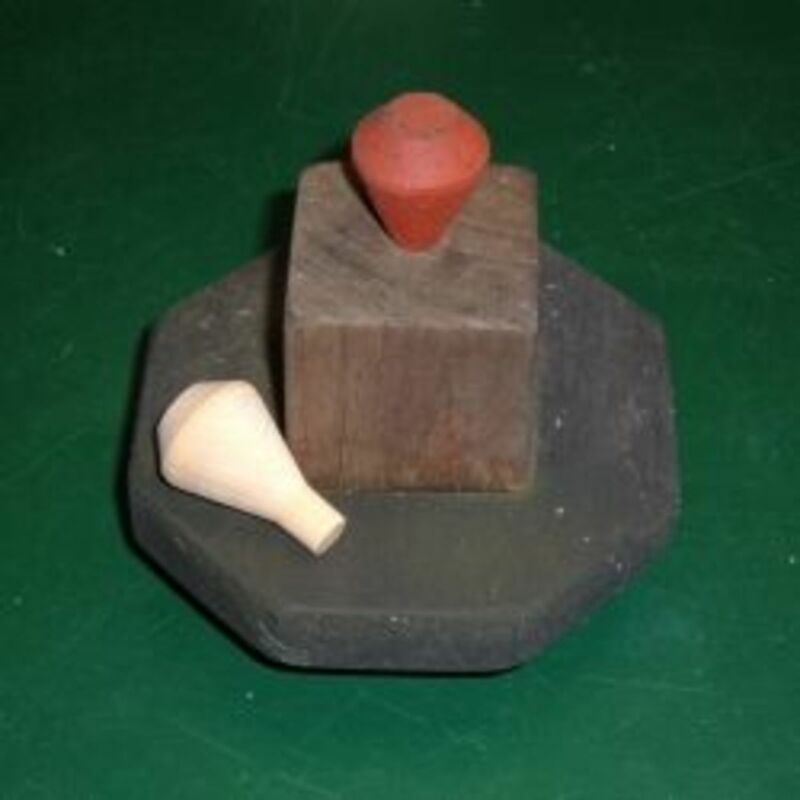 The finial is secured with a dab of water-resistant glue. To help make the details "pop", I painted the Turret with exterior-grade white paint. The top of the turret and the base section with the railings are painted with exterior-grade flat black paint. To assemble the three sections into a Lighthouse, start by lining up the Tower and Shed boxes together, making sure that both boxes are flush along the bottom edge. Attached the boxes together using several 1-1/4" screws (open the hinged doors for access); the short screws hold the boxes securely, but will not penetrate into the inside of the nest boxes. The Base section for the lighthouse turret is centered on the top of the Lighthouse Tower, and attached with weather-resistant screws. The turret and steeple top on pressed in place on the Turret Insets and if the fit is snug, you do not need to secure the pieces in place with nails or screws. The Lighthouse birdhouse is ready for occupancy! This craftsman makes original and unique birdhouses from reclaimed barn wood. Tom adds lots of details to his birdhouses, including his signature "birdhouse", and his work just might inspire your next unique birdhouse design. The Lighthouse can be assembled using basic hand tools, but there are a couple of specialty drill bits that I used to make building the project easier. I use a 1-1/2" diameter Forstner bit for drilling entrance holes for bluebirds, chickadees and other small cavity nesting birds. Do You Like To Build Birdhouse? I've never seen birdhouses shaped like lighthouses. Pretty cool idea. My father in law has gotten into building and selling birdhouses as a hobby. My kids love to help him with his projects. Yours definitely are unique. Classy! I'm working on a new birdhouse even as we speak. Love lighthouses and can really see myself using your plans to make this one. Thanks! Gosh, I have no ideas on building birdhouses but I really like your's! Really great tutorial and sounds like a fun project. We have lots of birdhouses around the house, all of them store bought though (some decorated by hand, some not). 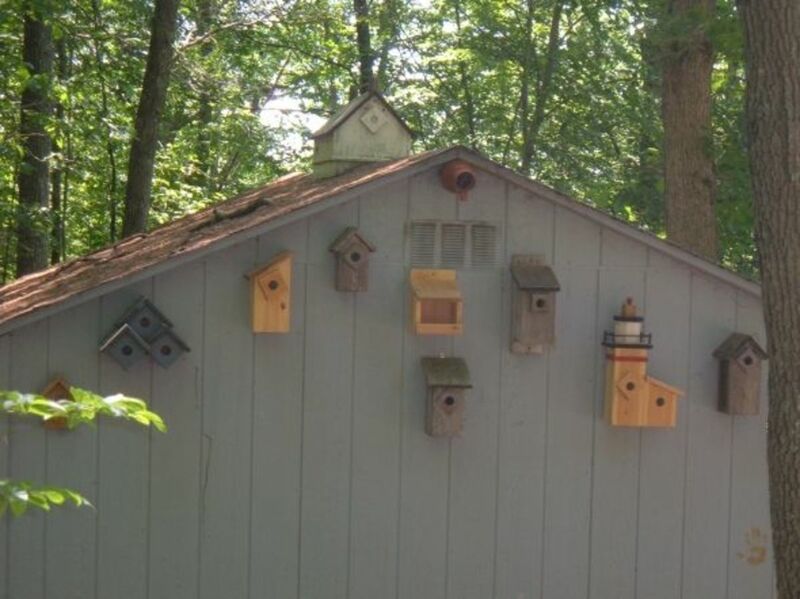 I love this idea, well all of your birdhouses look great but the light house one is beyond awesome. My husband has been looking at some designs for birdhouses. I'll have to show him this. You always do a good job Tony. Appreciate this.